I was one of those people that when seeing this I instantly fell in love with it. Sonic played a massive role in the gamer I have become today, so in my old age, I have a soft spot for the little bugger. 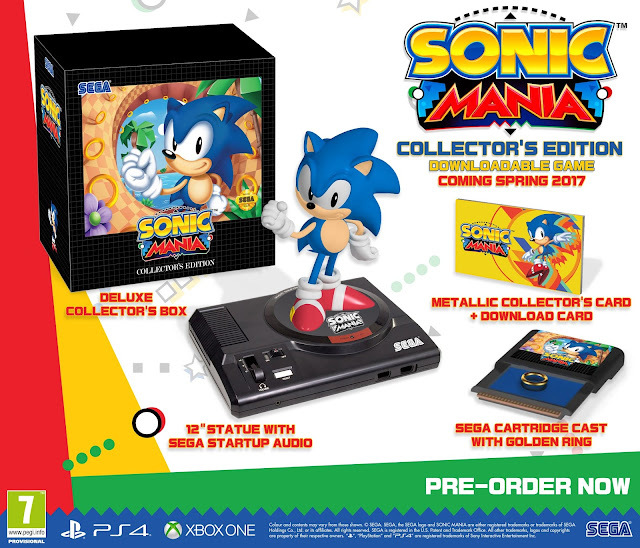 While this edition comes in at a whopping £79.99 for us in the UK, I've found myself hitting that pre-order button and start saving up before its release next April. You can find the Amazon UK link for the Xbox One version by clicking here, or the PS4 version by clicking here. Power switch which lets out the sound of the "SEGA" startup audio!